My socks are teaching me a lot at the moment. I thought I’d share these things with you. 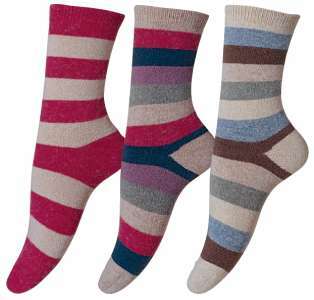 I’ve just bought some of the most comfortable pairs of socks in the world. These are made from a special wool that is ridiculously soft, my feet are happy and cosy and everytime I walk around the house I rejoice in my socks. I realise that I’m a bit too much in love with my socks. This is also expressed in my choice of bed linen. I have the most comfortable bed linen you can imagine, soft brushed jersey cotton, very strokeable and which makes me smile when I wake up because it’s so wonderfully comfortable. I’m starting to think I like my comfort a bit too much.